Mixture of acids and chlorine reducers. OXA - POINT N is a neutralizing liquid to remove alkalinity and bleach residues that drag the clothes to the last rinse and which can cause fibers to weaken and yellowish coloration on drying. 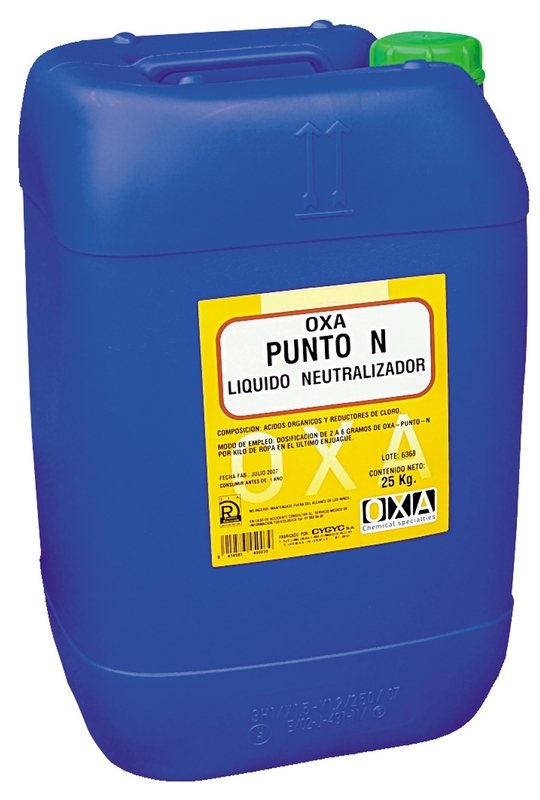 OXA - PUNTO N is a non - hazardous product due to its content in organic acids and all its components evaporate completely on drying.